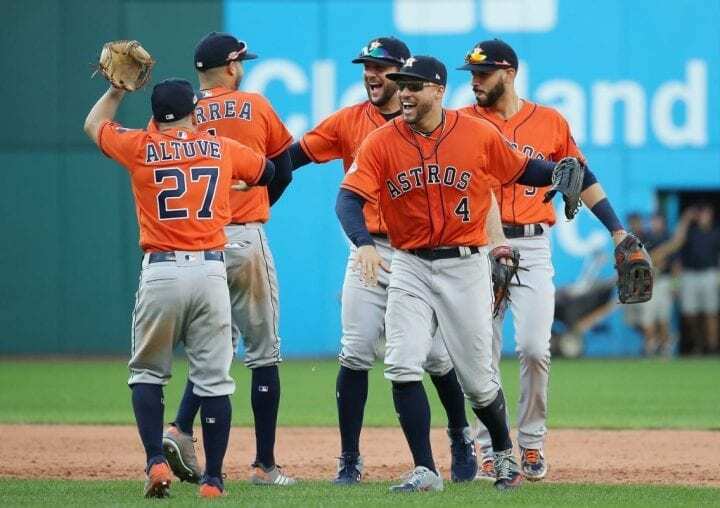 As the Houston Astros continue pursuing a second consecutive World Series championship, it’s a good idea to remind everyone that no one has completed that task since the New York Yankees won three straight from 1998-2000. Of course, that doesn’t mean the Astros won’t try really, really hard. In baseball time it must feel like a million years ago because of how much things change from year-to-year, even month-by-month. But’s it’s likely the core of Red Sox Nation remembers they were the ones the Astros leapfrogged to get into last year’s ALCS with a tidy Division Series victory. Maybe Red Sox manager Alex Cora, then Houston’s bench coach, will remind them of that. Of more relevance, perhaps, is that Houston won four of the seven games they played this season. It is entirely appropriate that this is the meeting of the two best teams in the American League. The Astros actually won more games this season (103) than they did last year. But the Red Sox did even better, winning a franchise-record 108 games. The Astros have it all, a powerful lineup and a starting staff led by three of the top pitchers in the game, Jason Verlander, Gerrit Cole and Dallas Keuchel. No staff allowed fewer runs (534) in the Majors. What a contrast this sets up to be, since Boston led the Majors in runs scored, on-base percentage, slugging percentage and batting average. They have the Major League batting average champion, Mookie Betts (.346) and J.D. Martinez, who celebrated his first season at the Fens by hitting 43 homers with 130 RBI. It may come down to how effective Red Sox starters are against guys like Jose Altuve, George Springer and Alex Bregman, who led the Astros with 31 homers and 103 RBIs. Chris Sale’s velocity is still down from his summertime peak, but there is no greater challenge for hitters when he is on. And he gets Game 1 against Verlander. What resonates with Red Sox fans may be the loud ovation Yankee fans gave David Price after another failed postseason start two nights earlier in Boston. Price’s is 0-9 in his playoff career and his ERA is 5.28. He pitches Game 2 against Cole. 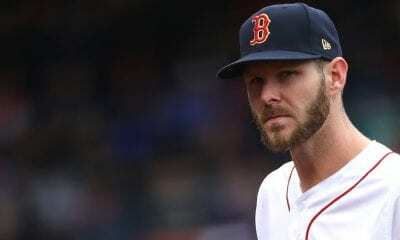 After watching Craig Kimbrel almost blow a three-run lead in the ninth inning in Game 4 against New York, you wonder how stable Boston’s bullpen may be. Cora has also relied a lot on Joe Kelly, Matt Barnes and Ryan Brasier, who has taken a greater role over the last few weeks. Houston’s bullpen is deep and diverse with Collin McHugh, Tony Sipp, Ryan Pressley and Lance McCullers. If you think the Red Sox have the advantage with home field, you may be right. The Sox led the Majors with 57 wins at Fenway. Then again, the Astros the led the Majors with road wins. 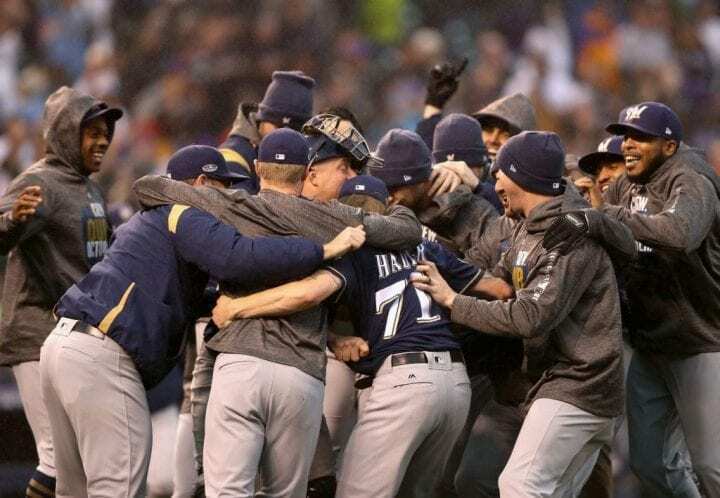 If winning streaks are any indication, the Brewers may be the best team in the Majors right now. They enter with an 11-game winning streak after sweeping Colorado in the NLDS, outscoring opponents 80-34. But the Dodgers, who are 7-1 in their last eight, won four of the seven games they played against the Brewers this season. If you see Bernie Brewer bending his elbow at the Miller beer plant, there is a very good reason. The Brewers, born in 1970, hardly ever play in October. This just their third Championship Series, their fifth postseason appearance. Their only appearance in the World Series was in 1982, when they were in the AL. The Dodgers, with 23 pennants and six World Series titles, lost to the Astros in last year’s World Series. 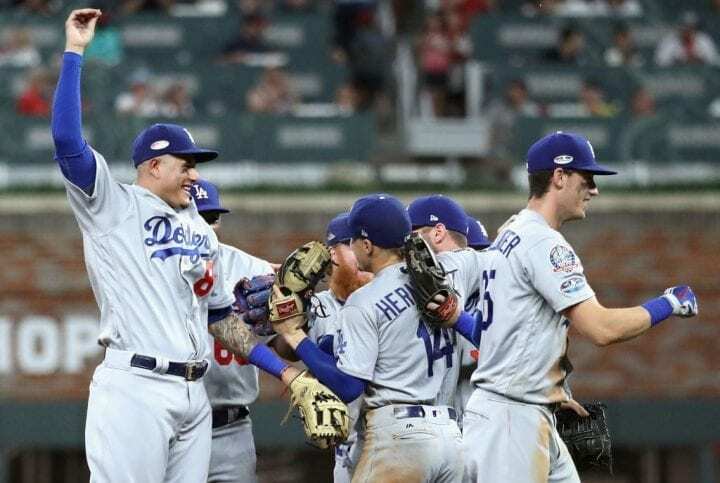 They know quite well that they haven’t won the World Series since 1988 – think Kirk Gibson and Dennis Eckersley – and this is their sixth straight chance to fix that after winning the NL West. What’s more, they had to fight off the Rockies in the one-game playoff that determined the NL West champion. And this is after the team struggled right up until mid-May, at which point they became the NL’s most dominant team. The Dodgers pitching staff will have to contend with a powerful Brewers lineup led by MVP candidate Christian Yelich. Milwaukee made two of the best offseason moves by trading for Yelich and signing Lorenzo Cain as a free agent. That enriched their outfield. But their power expands beyond that. Jesus Aguilar, Ryan Braun and Travis Shaw have produced all season. 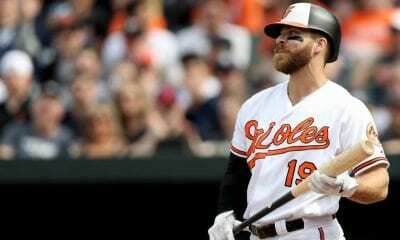 And Jonathan Schoop and The Moose, Mike Moustakas, added to it after being acquired at the trade deadline from the Baltimore Orioles and Kansas City Royals. The Dodgers rotation begins with Clayton Kershaw and then progresses to Hyun-Jin Ryu and Walker Buehler. 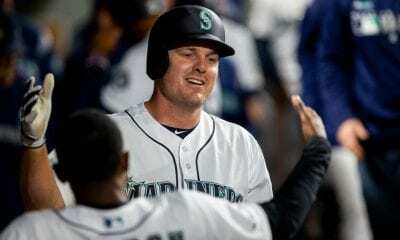 Milwaukee’s challenge will be to quiet the Dodgers offense at the start of games with the likes of Wade Miley, Gio Gonzalez and Jhoulys Chacin. But Brewers starters rarely pitch into the sixth. In fact, Sept. 19 was the last time they did. How to keep the Dodgers deep lineup in check is task No. 1. Max Muncy (35 homers), Matt Kemp (.290, 85 RBIs) and Cody Bellinger (25 homers) can hit. And don’t forget trade-deadline arrival Manny Machado, who hit a pair of homers in the Division Series vs. Atlanta. The Brewers bullpen was second to San Diego in the NL with 614 relief innings. In the Division Series against the Rockies, manager Craig Counsell used Corey Knebel, Josh Hader, Jeremy Jefress and Joakim Soria in each of the three games. They fanned 17 hitters in 11 1/3 innings with a 1.59 ERA. And no one is nastier than Hader, the slinky lefthander. He has struck out 143 hitters in 81 1/3 innings.